Unfortunately for those planning to buy an iPad Pro and looking forward to using Microsoft Office, it will not be for free. 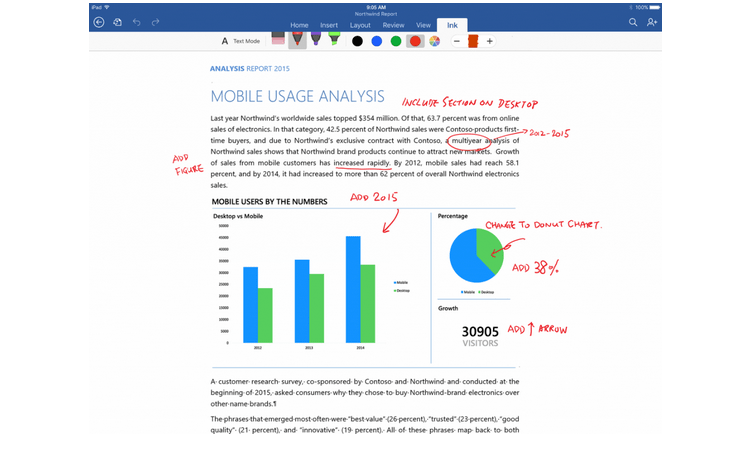 Earlier this month, Microsoft Office was presented for the iPad Pro during Apple’s keynote event. 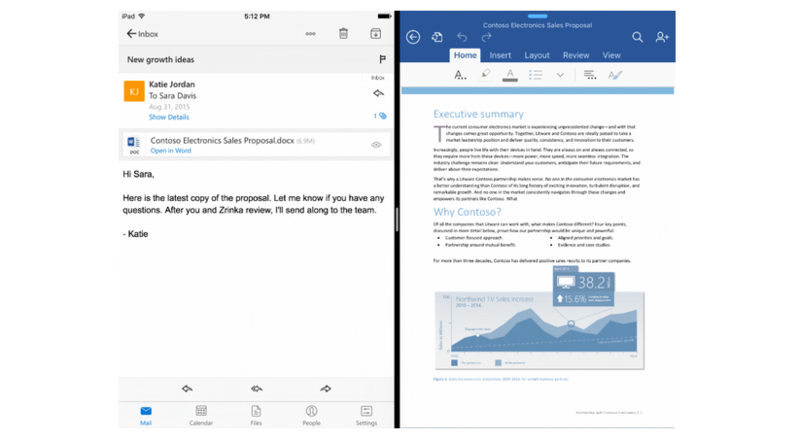 A Microsoft executive presented the Office app for the iPad Pro, which uses the Apple Pencil and seamlessly uses the device’s multitasking and touch features. Current iPad models run Microsoft Office for free and it comes with viewing and editing capabilities. Certain features can be availed through in-app purchases, but the content creation and editing comes at zero cost. However, if you install the same Microsoft Office apps on the soon to be released iPad Pro, you have zero editing power: you will have to pay for an Office 365 subscription in order to edit documents. This is due to Microsoft’s standard for mobile devices – if the device has a screen-size bigger than 10.1 inches, it does not qualify as a true mobile device. Any device smaller than 10.1 inches in screen size will receive the core viewing and editing capabilities of the Office for free. The iPad Pro’s display and touchscreen is 12.9 inches, so that does not qualify as a “mobile device”. I guess I can see the argument: it’s too bulky compared to other tablets and you will need to use the device’s smart keyboard to type and encode data seamlessly. The same restriction applies to Android devices over the 10.1-inch threshold. Microsoft has not exactly explained how they will restrict the iPad Pro’s Microsoft Office app. Regardless, you will need to purchase an Office 365 subscription in order to unlock its the editing capabilities. It is clear the users of the iPad Pro will have to pay more to fully use the device. They will have to pay to avail the smart keyboard and the stylus, Apple Pencil, and now for the MS Office apps.